< style="text-align: center; font-family: Helvetica,Arial,sans-serif;">Thisunique lens works on ALL Cameras & Camcorders with 37mm size Lens Filterthread!!! 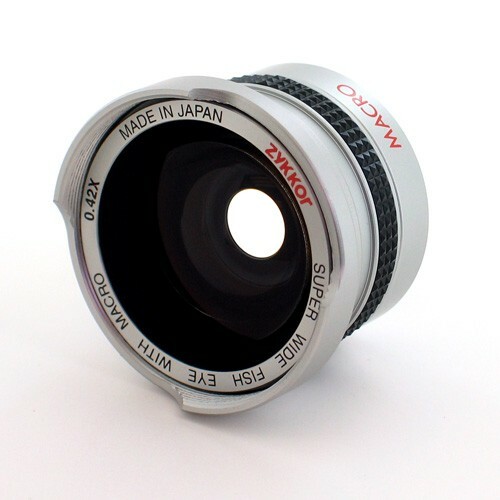 0.42x High Definition Professional WideAngle Panoramic (Panoramic, wide pictures) Fisheye Lens with "MACRO"for (close up pictures).It fits right over your camera's existing lenssystem and affects the full zoom range of your camera's lens. A wide-angle converter MORE THAN DOUBLESyour angle of view, allowingyou to get twice as much in the picture, include more of the landscape,include more people in group picture, and interiors show more of theroom. Your telephoto setting also becomes wider, this converter bringseverything closer.